When Tampa is throwing: I’m going to assume Josh Johnson will be playing. Even if Josh Freeman is healthy enough to go, it would be nice to give his thumb some rest as they are going to have to run the table – win five straight after losing five straight – to even have a shot at the final playoff spot (the Falcons will do no worse than 10-6 for seed #5). Josh Johnson has great velocity and great mobility which would open up a passing game that has been bad for the majority of the last five games. The Panthers are 31st in points allowed. Edge, if JJ is quarterback: Tampa. Edge, if Freeman is quarterback: even. When Tampa is running: There have been back-to-back 100-yard games for LeGarrette Blount and he is finally facing the smallish, 26th-ranked Panthers rushing defense for the first of two games. Edge: Tampa, strongly, and especially if JJ plays. When Carolina is throwing: Cam Newton neither reads defenses nor throws the ball accurately to the level he needs to be at to consistently win games. His strong rookie campaign has been shielded somewhat by the bad Panthers defense. The Buccaneers have shown very little this season to make me think they will be able to cover one great wideout and several decent wideouts and tight ends when a guy who buys extra time is throwing. Edge: Carolina, slightly. When Carolina is running: The Buccaneers run defense has been so bad, it’s kept them from resigning players, it’s forced them to shuffle the line-up and it’s lost them games. Morris has done enough in his rebuilding project to get another year, but the run defense has to improve. They allowed 190 rushing yards to Chris Johnson last week and are 27th in yards per-attempt allowed. The Panthers have struggled running the ball but still have a strong duo in Stewart and Williams who are probably looking forward to running on this defense. Edge: Carolina, slightly. PREDICTION: Right now, Josh Freeman is not throwing the ball well. He’s hurt, and he’s admitted it’s effected his accuracy. If he is off target at all on the first few drives, insert Josh Johnson. If Josh Johnson plays the majority of the snaps, they will win this game. 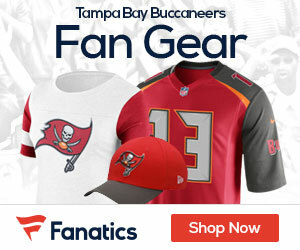 It would be a new rock bottom for the Bucs if pretty much the same Panthers team, with a new QB and several injuries including to their kick returner, – who was annihilated by the Bucs 20-7 and 31-16 last season – were to beat them at Raymond James Stadium or anywhere for that matter. If Josh Johnson starts: Bucs 31, Panthers 14. If Josh Freeman starts and plays the majority of the snaps: Panthers 21, Bucs 7.